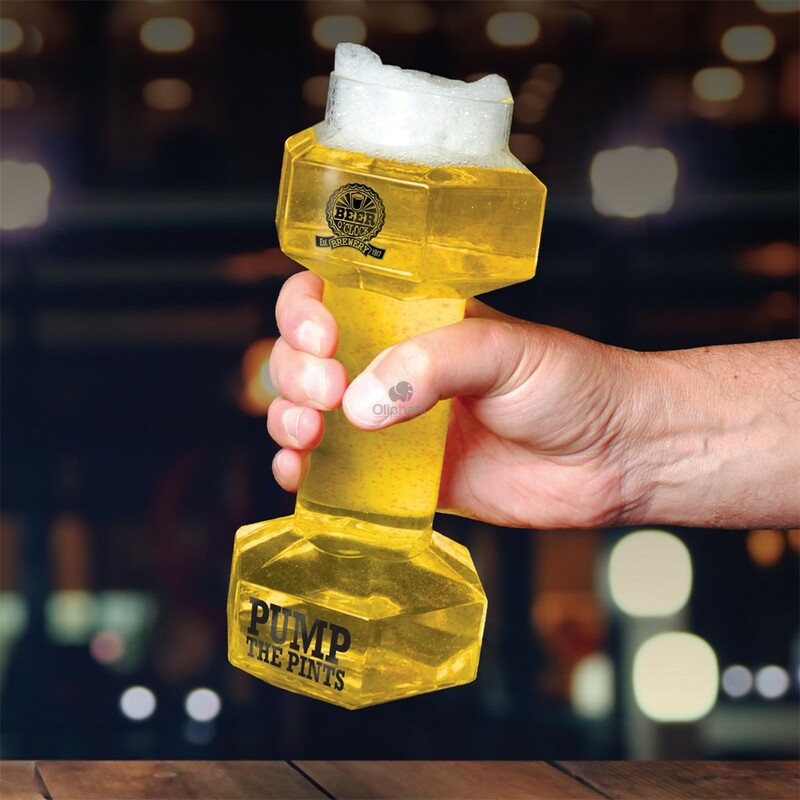 Give yourself a full upper arm workout whilst also enjoying your favourite refreshing beer in our unique and cool dumbbell shaped glass. Our realistic looking gym accessory can hold 24oz/710ml of your favourite ale, that’s nearly a pint and a half! The ergonomic shape of our glass makes it easy to hold and gives your drinking arm a thorough workout at the same time. Impress your mates with your drinking and exercise combo. 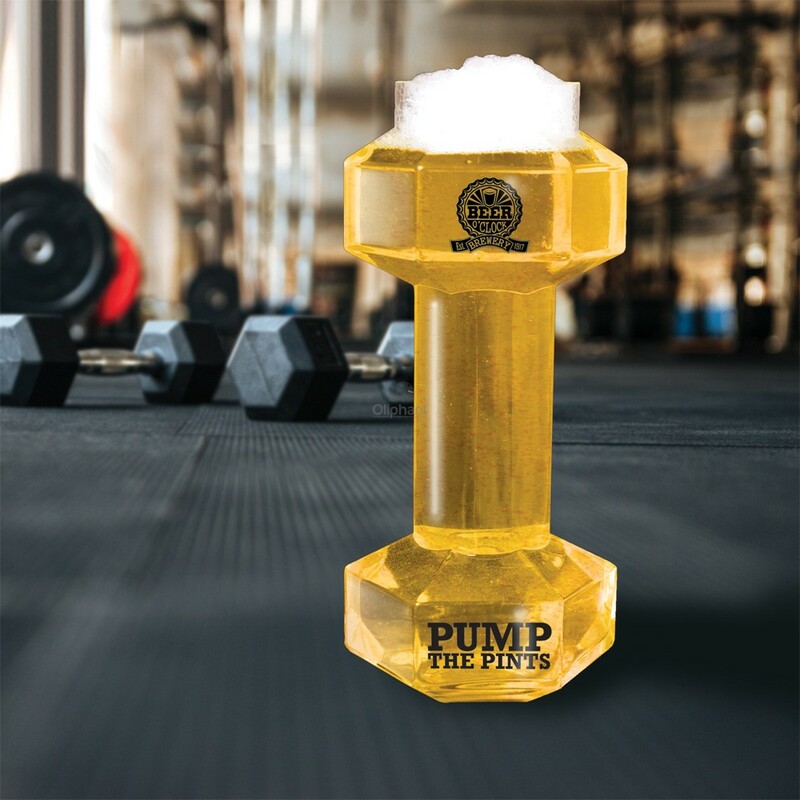 This is another great product from within our Beer O’Clock range, this product range is ever increasing due to popular demand and our Beer Dumbbell Glass is perfect for father’s day, summer parties and the ultimate man gift! Our Dumbbell Glass measures an impressive 215mm in height and comes packaged in a Polystyrene lined giftbox ensuring your glass arrives to you securely and safely. 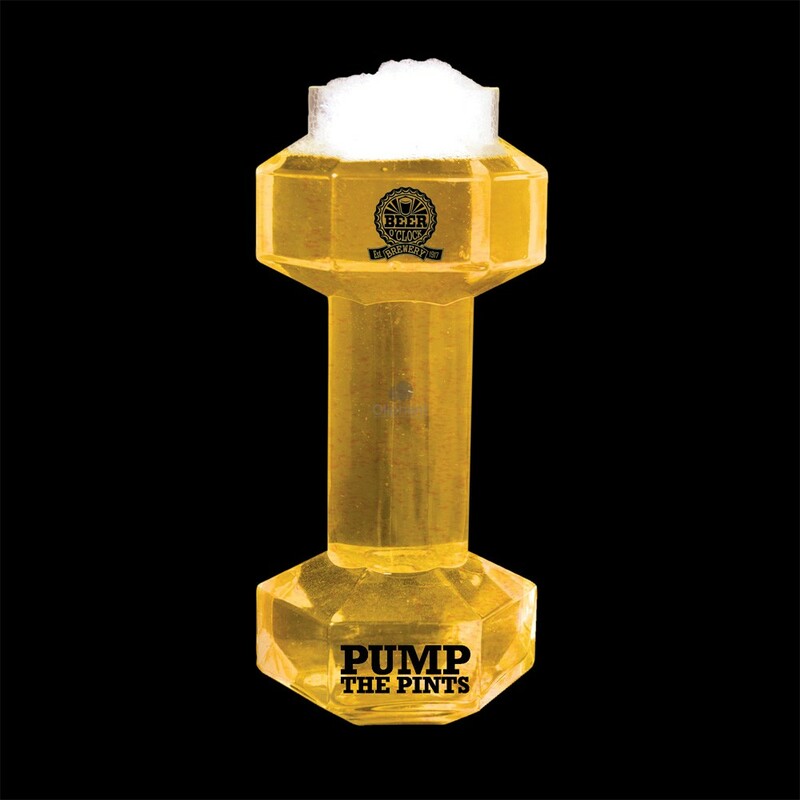 All you need to do now is fill up the Beer Dumbbell Glass with your choice of ale and raise a Dumbbell Glass!